Here below is the playground from Aura - the city of colour. 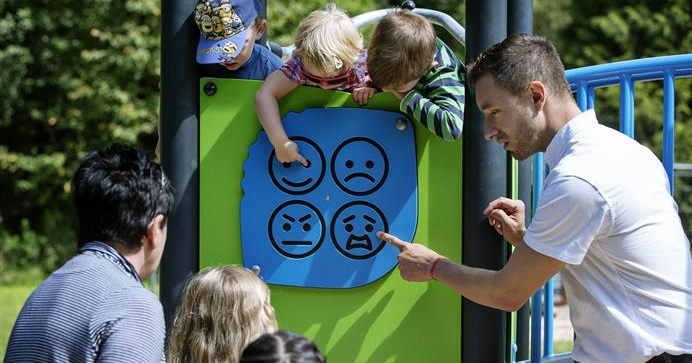 This playground became the inspiration for the Tree Top Walk. 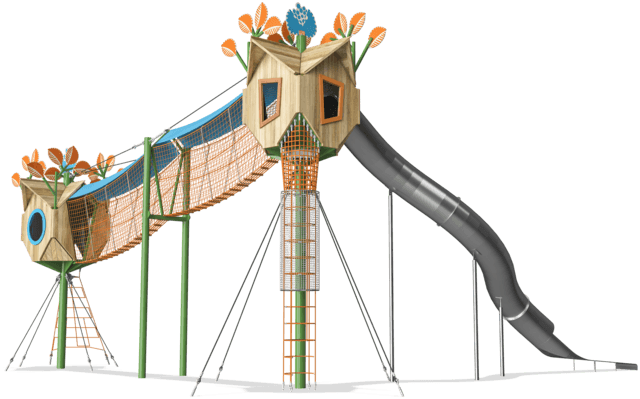 The Tree Top Walk is a standard solution, that draws on the unique features of the Aura Tree House Playground, making a landmark solution with thrilling, elevated play available for all.